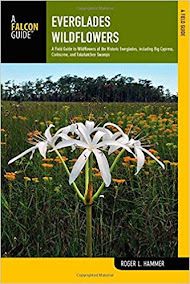 The Florida Native Plant Society has taken a stand on preserving this important land. Read the letter from FNPS president Ann Redmond. Then please make your comment for support by March 31, 2011. Your voice WILL count. Preservation of these lands is good for Florida's native plants & wildlife and it's also good for Florida's business community. 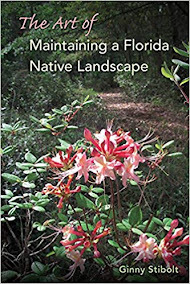 "In order to effectively conserve the native plants and native plant communities of Florida, we must conserve places where the natural processes that shaped and sustained them can be perpetuated. The Refuge proposal embraces the kind of holistic, integrated, landscape-scale approach that is required to achieve such an outcome. 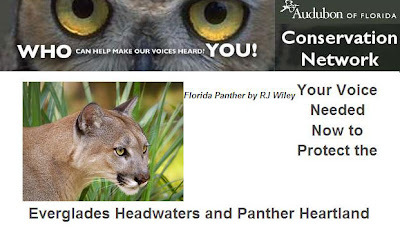 The protection of these lands, in combination with the hydrologic restoration envisioned in the Preliminary Project Proposal, will produce benefits that extend well beyond the footprint of the Refuge and complement the goals of the Comprehensive Everglades Restoration Plan." And I am not kidding! 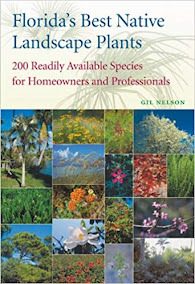 The conference is specifically designed for people just like you, whether you are a lifelong pro or a native plant newbie. There will be presentations on topics from experts ranging from the needs of a homeowner to those of research scientists and everything in between. 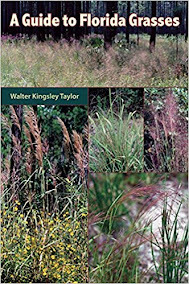 Interested in invasives? Butterfly gardening? Wildflowers in the landscape? Green roofs? The lgnum vitae (Gualacum sanctum). This must be a special tree with two Latin names. Actually, this IS a special tree for many reasons. 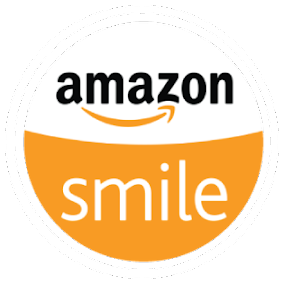 It grows slowly--about an inch per year. The wood is so dense that it sinks in water. Its wood was highly prized for propellers and judges' gavels. Because it's resinous, the wood was also good for ball bearings and hinges--they are self lubricating. The resin has medicinal properties: it reduces inflammation, suppresses coughs, and was used to treat syphilis. 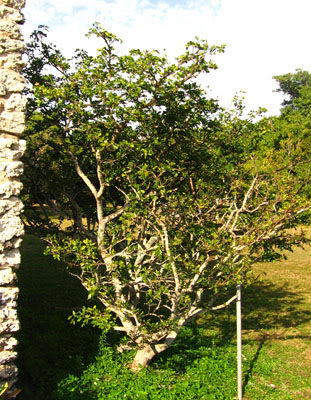 Because of all its uses, it was widely harvested and because of its extremely slow growth, the tree is rare in most of the Florida Keys, its native habitat. Here's more information and photos of the tree on Floridata.com. It has amazingly blue flowers. 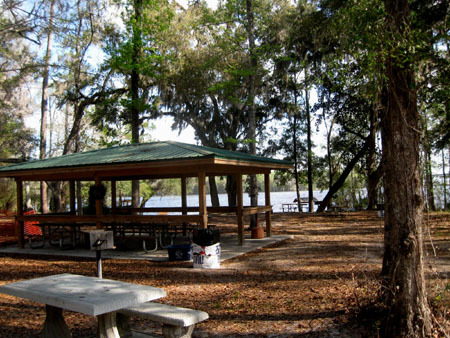 Spring means plentiful natives in bloom, especially in Volusia County, which offers plentiful natural lands to explore. 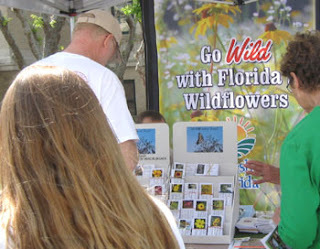 The county’s flowers are the perfect foil for the March 26 Florida Wildflower & Garden Festival in downtown DeLand – a gathering of speakers, vendors and organizations that celebrates our native wildflowers. This year’s family-friendly event again blends education, entertainment and fun. Vendors will line West Indiana Avenue selling potted wildflowers and plants, seeds, garden utensils, yard ornaments, books and more. 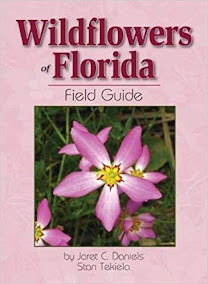 Joining them will be organizations such as the Florida Wildflower Foundation, local Florida Native Plant Society chapters, and garden clubs, all which will offer information on native wildflowers and plants, as well as Florida gardening in general. A Less-Than-Ideal Potted Tree? Even Natives Can Have Problems. Last August I ended up with a mistreated winged elm (Ulmus alata). This interesting tree, native from north central Florida northward, has corky extensions on its branches, which is why it's called a "winged" elm. The branches make it a good addition to your landscape for its year-round interest. It had been headed back at least twice and branches were coming from everywhere. 1) If the tree has been sitting in that pot for a year or more, there are virtually no nutrients left in the soil. 2) Many times trees that have been potted and repotted are too deep in the soil. 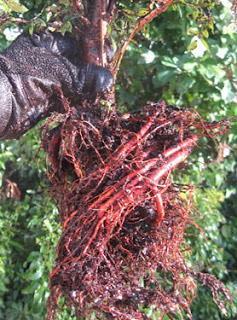 Rinsing the soil away will reveal the root flare and this should be at or slightly above ground level when planted. Invasive species in Florida are a huge problem. Most of us know this, right? Until now there wasn’t much we could do to help document the occurrences of invasive species that we see all the time in parks, right-of-ways, conservation areas and other public and private lands. 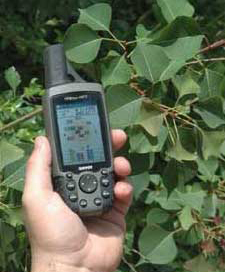 Now we can use EDDMapS to quickly and easily document invasive species occurrences! What is EDDMapS? It’s a web-based system developed by the University of Georgia Center for Invasive Species and Ecosystem Health. It allows citizens to systematically document invasive species distribution throughout the southeastern US. 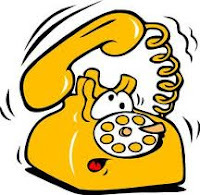 A partnership of Florida agencies and NGOs/Non-profit groups have recently started promoting it through their, “I’ve Got 1” web address (www.IveGot1.org) and phone hotline (1-888-Ive-Got1). There is even an IveGot1 iPhone app available! Spring is here, at least in South Florida, and it will be coming your way soon even if you are in the northernmost regions of the state. That means the cypress needles are stretching upward, with the beautiful luminescent green of their new growth. The pink fetterbush, red tillandsias and firebush are all showing cheerful color. Spring is traditionally a time when people begin to be serious about deciding for sure which plants will be going into their landscapes, so it's a good time to remind gardeners about the need to plan for cold hardy plants. It was a glorious, “Chamber of Commerce” day in Tallahassee for the opening day of the 2011 legislative session and “Florida Forever Day.” This annual event grows each year and does a fantastic job of showing our legislators and fellow Floridians how great the Florida Forever program is. 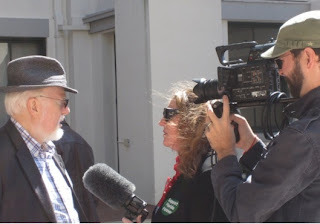 This important lobbying day for Florida’s environment took place on at the Florida Capitol Courtyard from 10AM-2PM, with a speaking program at 12PM. 53,600 acres of springs and springsheds. 5,190 acres of fragile coastline. 300,000 acres of sustainable forest lands. 158,700 acres of working agricultural lands. 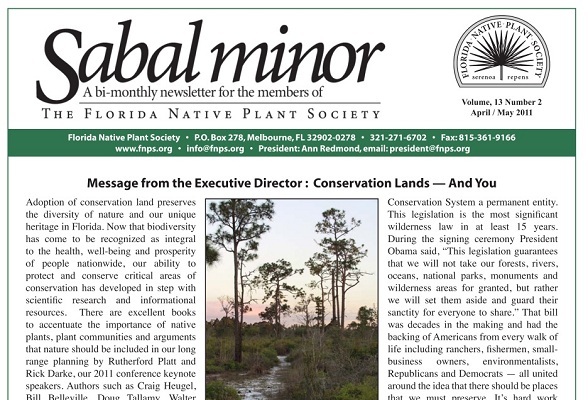 Sabal minor is the FNPS online newsletter. Inthis issue read a message from Kariena Veaudry, our executive director, about the politics of conservation lands. Learn about the viceroy butterfly, chapter happenings, Palmetto awards, the annual meeting, and more. Also, members have received the winter issue of the Palmetto magazine in the mail. 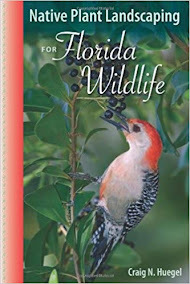 This issue included articles, Restoring Mariposa Key, Building Partnerships--One State Land at a Time, Babcock Ranch Preserve Land Review, FNPS Chapter Palmetto Award (Congrats to the Magnolia Chapter.) and a Book reviw of "The Gopher Toroise, a Life History." We’ve spent some time in the past few weeks talking about this past week—Invasives Awareness Week & Autralian Pine: One of Florida's Least Wanted. I posted a photo of some coral ardisia (Ardisia crenata) on Facebook and asked what you have done about invasives this week. 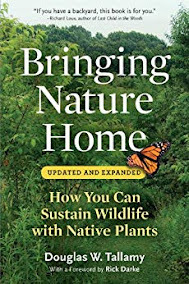 The most amusing answer was from Jeff Wright: “I removed ardisia, kudzu, air potato bulbils, some brazilian pepper and a handful of snowbirds. =)“ But Judith Benson’s comment reminds us that we don’t need a group to take action: “Air potato raid (small scale - 1 woman band) in Winter Springs!” Fighting invasives is a battle where we can all help and individual efforts do make a difference.